The most significant cost of your mailing is usually postage. Today, how your mail arrives at the destination post office is as important as when it mails. With our exclusive Digital Dog Direct Delivery Discount program, we can show you how to earn the maximum postage discounts on Standard Mail, and better predict in-home delivery dates. Using our USPS logistics expertise, we can manage the delivery of your mail directly to a SCF (Sectional Center Facility) or NDC (Network Distribution Center). Currently there are over 300 SCFs and 21 NDCs; and we deliver mail to all of them in the most seamless and cost-efficient manner. Other times we can achieve those same advantages by commingling or co-palletization—depending on the type of mail piece (such as a letter, flat, or parcel) and its corresponding weight. 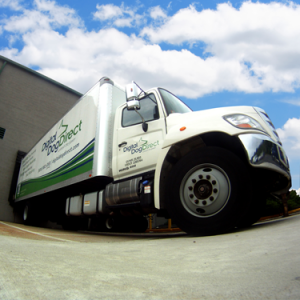 Our logistics expertise and national network of transportation resources allow us to sniff out opportunities to get you the same low-delivery cost that high-volume mailers take for granted. Find out how much we can save you—contact us today.